Bring your piggy bank for our 3rd Annual Auction! Simon will once again play the role of our Amazing Auctioneer. Any one can buy but only RASC members can sell. Check back for a heads up on some items to be sold. If you have an item to sell please notify Simon asap. Clouds and rain are forecast to move in by 8 pm so we will have to cancel for this month. Our next Riverwood event is May 2, please join us then! Please come to the meeting and share your plans or, if you don’t have any but want to go, find others to team up with! Camping and working in the southernmost, coldest, highest, driest, windiest, least populated continent on Earth is no easy feat! Every year a team of meteorite hunters collects meteorites along the base of the Trans-Antarctic Mountains. How do these explorers survive? What’s so special about these rocks? And why go all the way to Antarctica to find them? Come hear Dr. Marianne Mader, a participant of the 2012-2013 ANSMET (Antarctic Search for Meteorites) Program talk about her experience and then put yourself in her shoes by practicing a little meteorite hunting of your own! Dr. Marianne Mader strives to enable curiosity and exploration. 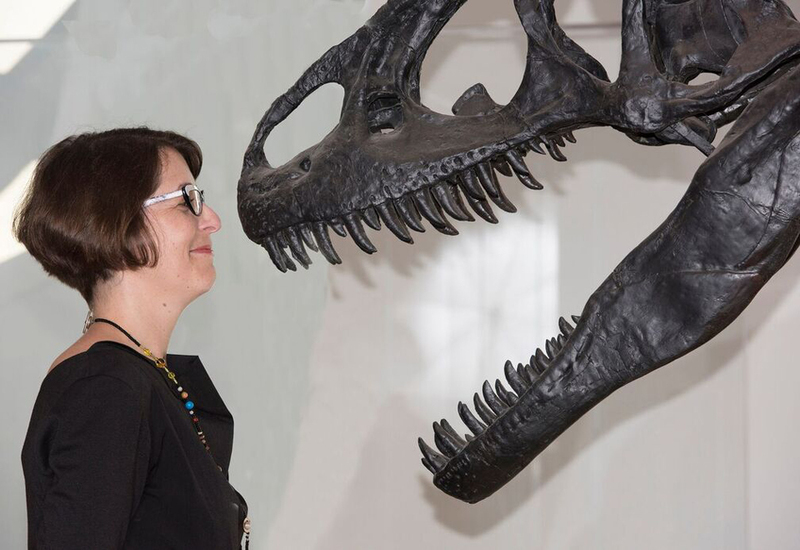 As the Managing Director for the Centres of Discovery in Earth & Space and Fossils & Evolution at the ROM, she helps people to understand the Earth, our solar system, and how life evolved over time. With over 12 years of field experience, Marianne has studied some of the oldest rocks on Earth in Greenland, explored impact craters across the globe, and most recently collected meteorites in Antarctica. Marianne has MScs in both Space Studies and Earth Sciences, and a PhD in planetary science from Western University. She is a Visiting Lecturer at the International Space University. Members Update: New Nov 2016 Messenger Newsletter! Members: keep up to date with the latest news about your club with the latest edition of your Messenger newsletter! Turn green with envy over Jo’s new 16″ beast, be fascinated by Steve’s article on astrophotography, and be inspired by Brian Gibson’s photo of the Orion nebula! Available to members only; click on the “MEMBER BENEFITS” menu item and select “MESSENGER NEWSLETTER”. There is a great opportunity for amateur astronomers to reach members of the public and promote science literacy and critical thinking. Since young people are attracted to astronomy and space science, we have an opportunity to encourage young people to embrace “STEAM” and pursue careers in science and technology. Randy Attwood has been looking up for most of his life. His interest in space and astronomy was sparked during the summer of 1969 with the first moon landing. Since then he has observed and photographed the night sky, chased solar eclipses across the globe and witnessed several space shuttle and rocket launches. He often appears in the media to comment on various astronomy and space exploration stories. To recognize his contributions to science public outreach, asteroid 265235 was named Asteroid Attwood in 2012. Join us at Riverwood for a night of free public viewing through our telescopes! Weather is looking good, so we are GO! Saturn and Mars are nearing the end of their visit this year, so be sure to see them before they go! We should get a good look at some colourful double stars. Use your phone to get a shot of the crescent Moon through a telescope with one of our phone camera adapters! We’ll start when it gets dark at 8:00PM. The RASC Joins forces with Celebration Square for E.T. Join the RASC @ Celebration Square Movie Nights this Thursday (18th) for the classic E.T. followed by some telescopic views of Alien Worlds! Riverwood Tues June 14th 9:00PM: Mars, Saturn, Jupiter and the Moon *** GO ***! Join us at Riverwood for free public viewing through our telescopes! Mars and Saturn are now visible in the evenings, so we sure to get a good look at them. Take a look at mighty Jupiter blazing in the night sky, or get a shot of the crescent Moon through one of our telescopes using your phone with one of our phone camera adapters! The weather looks perfect! We’ll start when it gets dark at 9:00PM. Dr. Wendy Taylor talks about the science of antimatter. What is it? How is it made, trapped, studied and used? And what can it tell us about how the universe works? Dr. Taylor will produce antimatter during the talk, and beam it out into the audience, just for fun. Not really. Wendy J. Taylor is Professor of Physics at York University and former Canada Research Chair in Experimental Particle Physics. She is a member of the university’s High Energy Physics Group and leads its ATLAS group. ATLAS is a key experiment at the Large Hadron Collider at CERN where the Higgs Boson particle was discovered in 2012. Her current research focuses on the search for the hypothetical magnetic monopole particle. Her former research at the Fermilab Tevatron particle collider showed differences in the production of matter and anti-matter in high-energy collisions shedding light on the imbalance in matter and anti-matter in the early universe. Professor Taylor is a member of the American Physical Society and the Canadian Institute of Particle Physics.